Fertilize/Lime: Fertilizing your lawn in the fall will give it the food it needs to stay green and healthy all winter long. Fall fertilizers also help to promote root growth so that your lawn will be healthier and greener come spring. Applying lime in the fall gives it all winter to be worked into the soil. Applying lime helps to adjust the pH level of your soil. If your soil is acidic you should apply lime, since grass grows best in neutral soils. Another benefit is that moss prefers acidic soils and changing the pH level of your soil can help prevent moss infestations. Aeration: Aerating your lawn in the fall is a good idea because it helps with drainage. Aerating in conjunction with fertilizer or lime will also help your lawn to utilize the fertilizer better. 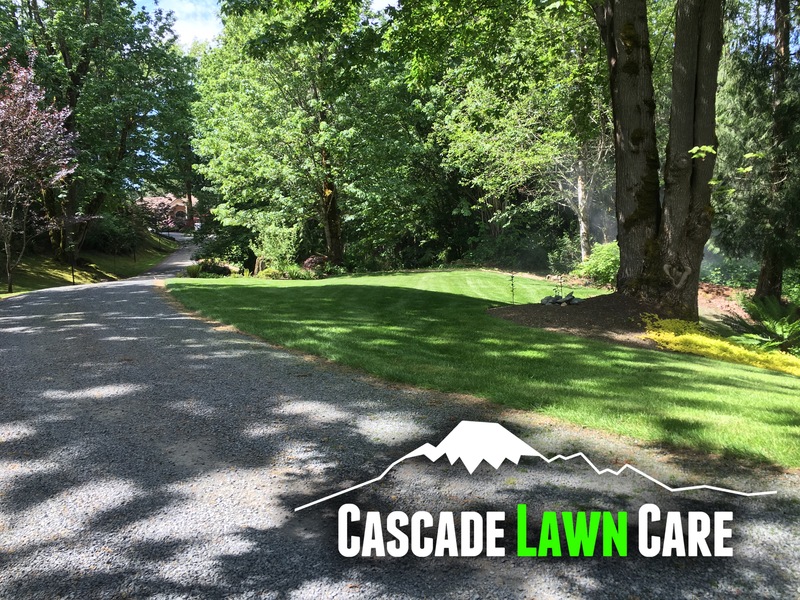 Seeding: Seeding your lawn in early fall will help fill in sparse areas or patches in your lawn. The morning dew and rain showers will help to keep your new seed moist until it germinates. The warm soil temperatures will also help seed to fill in. As the season winds down your shrubs and trees will also require some attention. Thinning: As deciduous trees and shrubs lose there leaves it makes pruning much easier. Thinning and removing dead wood is much easier once the leaves have fallen. Thinning and removing dead wood is good for your shrubs and trees because it makes room for new growth and focuses the new growth on the outside. Trimming Perennials: Some plants need to be cut down each year to allow for new growth in the spring. These plants should be cut back in the fall to keep them healthy and looking great year after year. Your irrigation system needs fall maintenance too. It should have the water shutoff and be winterized. Winterizing your irrigation system requires using a high CFM commercial air compressor to blow out all the water in your system. This is very important to prevent water from freezing in the lines and bursting pipes. If you need help with any items on your Fall checklist we are here to help you. Contact us today and we will give you an estimate for your Fall cleanup. We can simply clean all the fallen leaves in your yard, or we can prepare your whole yard for the winter. Let us know what you need. 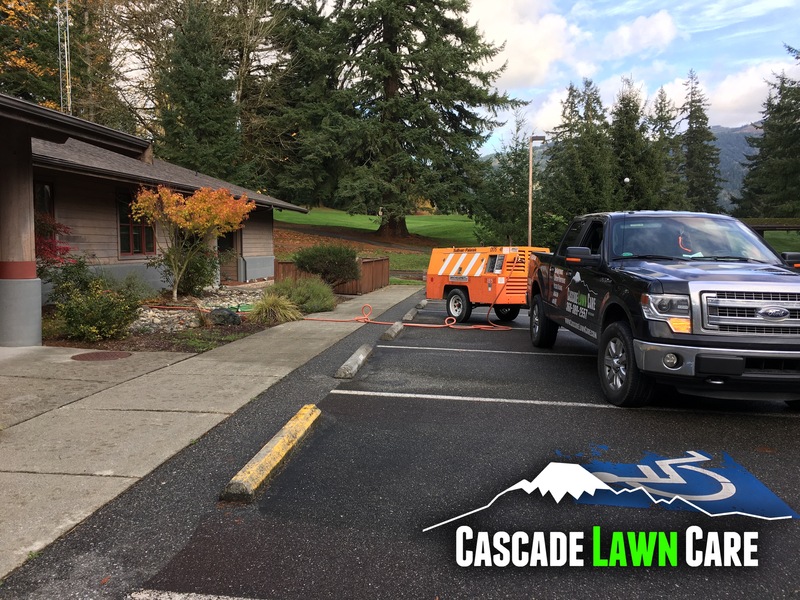 This entry was posted in Announcements and tagged aeration, Bellingham, fall cleanup, fertilizer, irrigation, lawn mowing, shrubs, sprinkler system, trimming, winterization on September 22, 2017 by Charlie.